iDashboards has done it again. If you followed this Blog for a while, you may remember how iDashboards was used to track, monitor and analyze results for the Summer and Winter Olympics, FIFA Soccer/Football World Cup, and NCAA Final Four Basketball. iDashboards even covered the 2008 USA Presidential Election! Click here for all their past events. 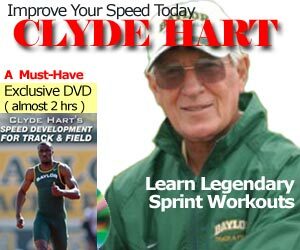 Click here for the 2014 Sochi Olympics. Using iDashboards powerful functionality, follow and explore the 2014 winter Olympic games. With our interactive and visually engaging maps, charts and graphs track your favourite countries and events throughout the games. Find worldwide medal counts, drill-down to event metrics for competing countries, see daily updates from Sochi and much more. 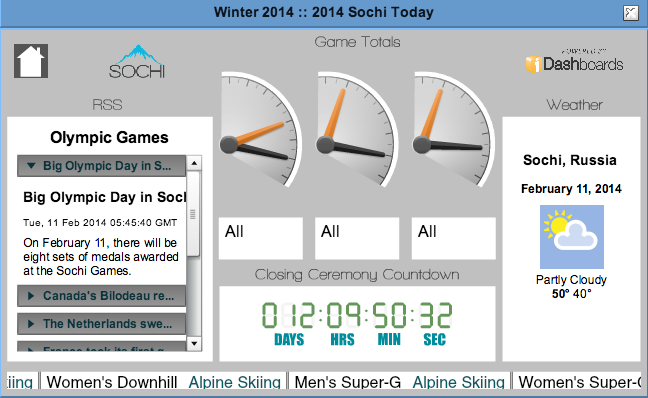 The Sochi Tally Dashboard – Browse all events and competing countries to get a look into the winter games medal count.